From daily or luxurious pleasures, small or little, the importance of convenience and innovation always plays a key role in choosing what is unique. Within Habanos world, we always strive and push for excellence when providing the best possible means and services for our potential customers. 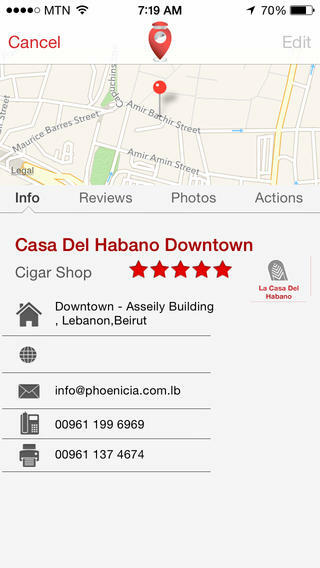 So for 2012, we are proud to present to all cigar aficionados, an amazing new iPhone application by Phoenicia; CIGAR GUIDE! Apart from smoking cigars, our customers and people in general enjoy much more; from travelling to meetings and conferences, or even general ventures and excursions. So within this haste, imagine yourself in a foreign country, or different city, having no idea where to look or search for your favorite cigars. For those troubled moments, Cigar Guide takes action. 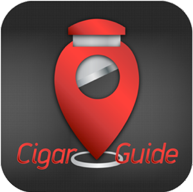 Cigar Guide is a collective database of cigar locations and detailed information for cigar shops and lounges from all around the world, but in its compact design, it includes more than simply just that. With Cigar Guide you can share your locations, your passion, and your experience with convenience and style. 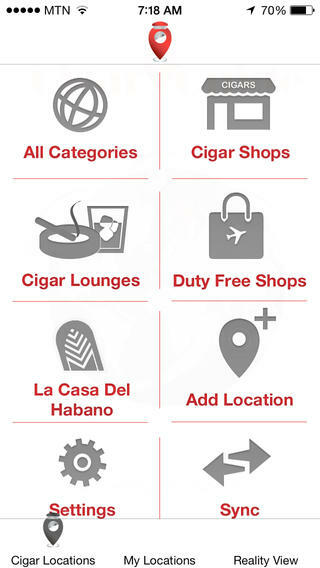 Locate with ease various cigar locations all around the world, either by country or by category or check which locations are nearest to you and navigate to them with the press of a button. For your convenience, you can find all necessary information for every location, whether it be a shop or lounge, such as address, telephone number, email, etc., as well as read reviews from other users that visited the location and browse through their images and opinions, specifically categorized under each cigar location’s details. We currently provide you with around 1.400 locations from all around the world, while new and more are constantly being added or registered. You can be a part of this by sharing your own as new available locations will be added automatically whenever you sync. 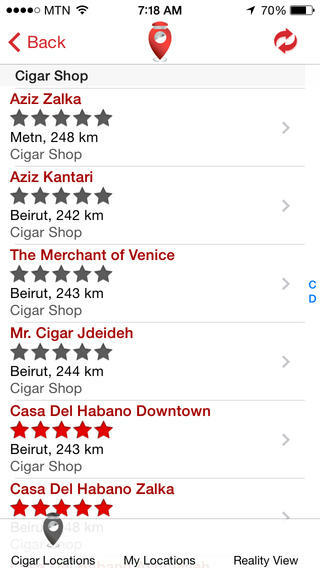 Cigar Guide is also able to locate your current position and provide you with the existing cigar locations in your current country/city, including their details. Augmented Reality is available for you in order to locate and navigate to cigar locations near you. 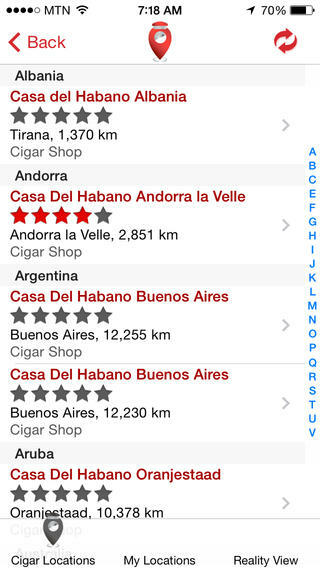 Cigar Guide uses both kilometers and miles units and useful hints for using the application can be found easily in every screen. 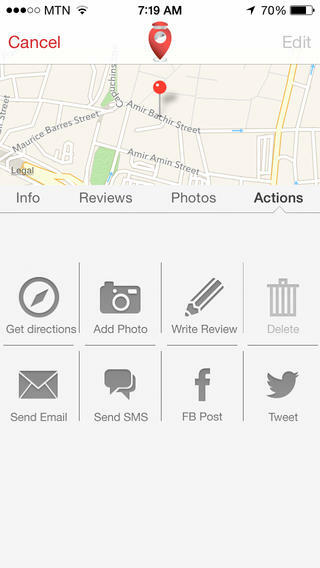 Do not forget to enable the Auto Sync feature if you wish to sync every change made to a location and stay up to date. Finally you can customize the Augmented Reality radius to the desired kilometers you wish to search in from your location. Cigar Guide… Discovering Your Passion!